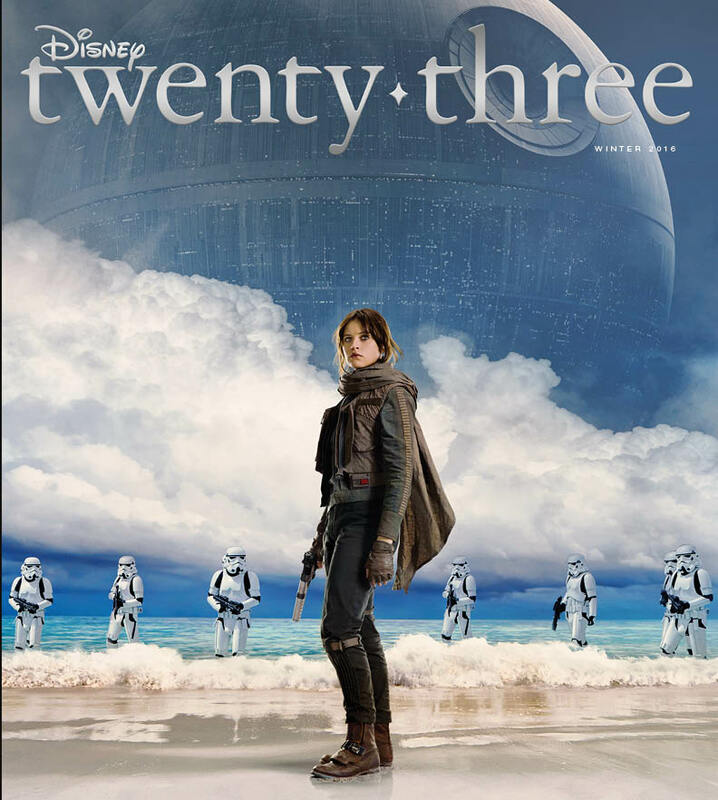 A new Rogue One cover is to be featured on the next edition of the "Disney Twenty Three (D23)" magazine. The cover photo was publicly disclosed by Disney today. "On December 16, Star Wars fans will blast off once again to a galaxy far, far away - only this time, it's with a new set of characters (save for one Sith Lord) in Rogue One: A Star Wars Story. The film's stars Felicity Jones and Alan Tudyk, director Gareth Edwards, and producer Kathleen Kennedy give readers a glimpse into the making of the film, which is centred on a group of rebels determined to steal the plans for the menacing Death Star. Kennedy reveals the origins of this first "stand-alone" film, while Edwards discusses the detailed planning that went into bringing Darth Vader back to the big screen."